So Wednesday night at 9 p.m. EST, TBS is going to air another of its World’s Funniest Commercials programs, hosted by Kevin Nealon, currently of Weeds fame. (See post below.) 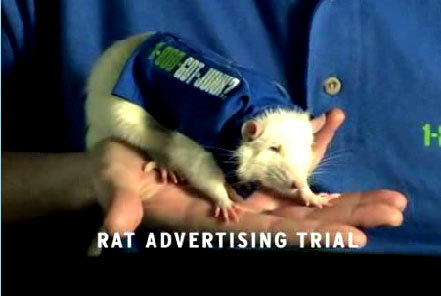 Among the winners, are spots from IKEA, Opel, the L.A. County Fair and 1-800-GOT-JUNK?, a campaign that features rats. You can watch a few of the spots here.